Who: With the help of Louisiana’s librarians, LSBA attorneys will provide public library patrons with limited legal services at no charge. What: Volunteer attorneys will provide general “Ask-a-Lawyer” sessions, allowing patrons to ask all types of legal questions in a one on one setting. Alternatively, attorneys may provide workshops on specific topics (i.e. divorce, wills, etc…) in a classroom setting without providing individualized legal advice. The type of service provided will vary by location depending on local need, and attorneys’ practice area and preference. Where: “Lawyers in Libraries” events will take place in public libraries across the state. The LSBA will contact previous participating libraries and attorneys via email and ask them to register their availability online. Alternatively, attorneys and library representatives are encouraged to volunteer by filling out the registration forms online or by contacting the LSBA directly at LawyersinLibraries@lsba.org. When: The “Lawyers in Libraries” events will be held October 21-26, 2019 in conjunction with National Celebrate Pro Bono Week. The LSBA will work with librarians to coordinate a day best for the librarians and volunteer attorneys. Why: Librarians play an integral role in directing patrons with legal issues to reliable resources and local agencies that may be of assistance. 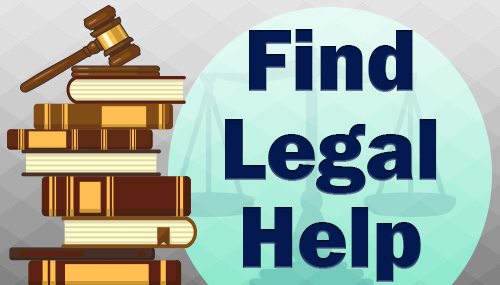 The LSBA has partnered with the Louisiana Library Association and other partners to create the Legal Education & Assistance Program (LEAP), which will provide libraries with free "Libguides" and specialized staff training to better enable your branch to assist with questions about legal issues. "Lawyers in Libraries" is a supplemental component of this program which provides expanded information and access to attorneys. How: Libaries can provide their availability to host 2019 Lawyers in Libraries events here. For more information about hosting an event, training for your staff, or other questions regarding LEAP, please contact Projects Counsel at joanna.laidler@lsba.org.